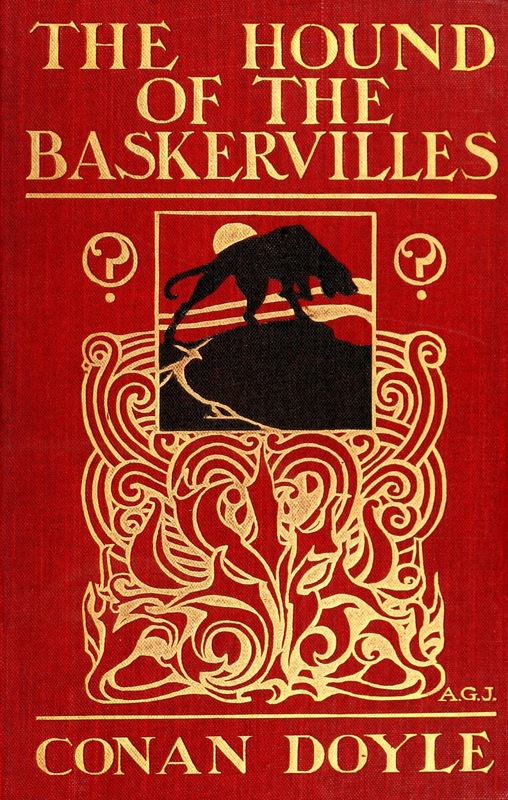 This month the Reading to Know Classics book club is reading The Hound of the Baskervilles which was chosen for us by my friend Sky. Coincidentally, this is also the book that my in town bookclub is reading (because it was my turn to pick!). I haven't read anything by Conan Doyle in awhile and it was nice to be given the excuse. I never feel like I can say much more than "I liked it" or "I didn't like it" about well-known classics. I know the same problem exists for many of you (which is a comfort to me - heh). 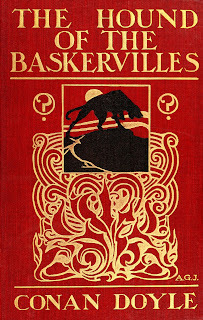 In the case of The Hound of the Baskervilles I can say of it, "I liked it." It was entertaining and enjoyable. I'm pretty sure I've read it before, but I didn't remain the end so it remained a mystery all the way through. This is a short read (so if by chance you were still hoping to read it, know that it goes quick!). It is both suspenseful and spooky. That said, it's not so spooky that I wouldn't feel comfortable reading it at night. (I read it during the day though, just to be safe!) Modern novels are ever so much more spooky than Doyle, I think. Doyle presents just enough of a thrill to keep you on your toes but not do you in. In 1902 the original manuscript was broken apart into individual leaves. The leaves were then used as part of window displays by American bookstore as part of a promotional campaign. It is estimated that there were 185 leaves, and only 36 are known to still exist, including all of the leaves from Chapter 11. These are now owned by the New York Public Library. The rest of the leaves are owned by university libraries and private collectors. Americans have interesting concepts of what would make for good marketing ploys sometimes. Whether posting the original leaves from this story were helpful or not, it is safe to say that this story has done well with the public. Many thanks to Sky for recommending this read so that I could spend a little time with one of the great masters of mystery this past month. Much appreciated! 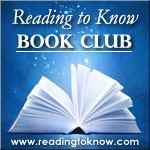 For those of you who read along, plan to come back on Friday, October 30th for the wrap-up post. I liked it/I didn't like it. Yes, I often feel that way about many books (those are the ones that get a sentence on my Nightstand post instead of a full review!) I figure it's worthwhile to think deeply about things and to try to articulate our thoughts well - but sometimes trying to come up with why I feel the way I do about something isn't worth it, and it's okay to just say I like it or not. I did like The Hound though. The version my library sent me was a beautifully illustrated book and it was a pleasure both to read and to look at (and to feel the glossy pages) - a pleasure in so many different ways. This is one of my favorites of the Holmes books.